The leadership in an Old Order Amish community requires shunning friends and family whose only offence is to embrace the new Protestant practice of Sunday school among the Mennonites, but teaching Bible stories to children is one of Clara Kuhns great joys. Claras on the verge of saying yes to Andrew Rabers marriage proposal, but now he is flagrantly refusing to submit to the bishops authority by owning a car. When the lot falls to Moses Beachy to become the new bishop, the community waits for him to take bold steps toward change. Clara and Andrew step together into a more progressive Amish faith as the Beachy Amish take form. Amish Turns Of Time # 2 - Meek And Mild MP3 CD Audiobook by Newport, Olivia was published by Shiloh Run Press (Barbour) in February 2015. 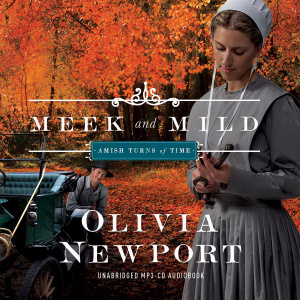 The ISBN for Amish Turns Of Time # 2 - Meek And Mild MP3 CD Audiobook is 9781630586485. Be the first to review Amish Turns Of Time # 2 - Meek And Mild MP3 CD Audiobook! Got a question? No problem! Just click here to ask us about Amish Turns Of Time # 2 - Meek And Mild MP3 CD Audiobook.